If you love the tap-tap-tapping of woodpeckers, Enjoying Woodpeckers More is the book for you. 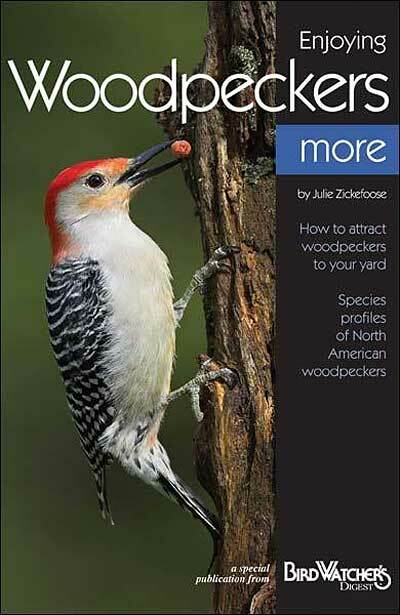 This brief work discusses several aspects of woodpeckers, including the different species, how to attract them, and how to prevent damages from them. The pamphlet's crisp diction and color photographs combine to make a quick, easily understood read for any birder. Noted birding expert Julie Zickefoose explains the woodpecker family in detail, and offers bulleted information under photos of each species. A must for any woodpecker lover.